Fantastic value in The Village at Castle Pines. This beautiful home built by Joyce Homes boasts a spacious private courtyard as you enter and are welcomed by the rotunda with leaded glass detail. 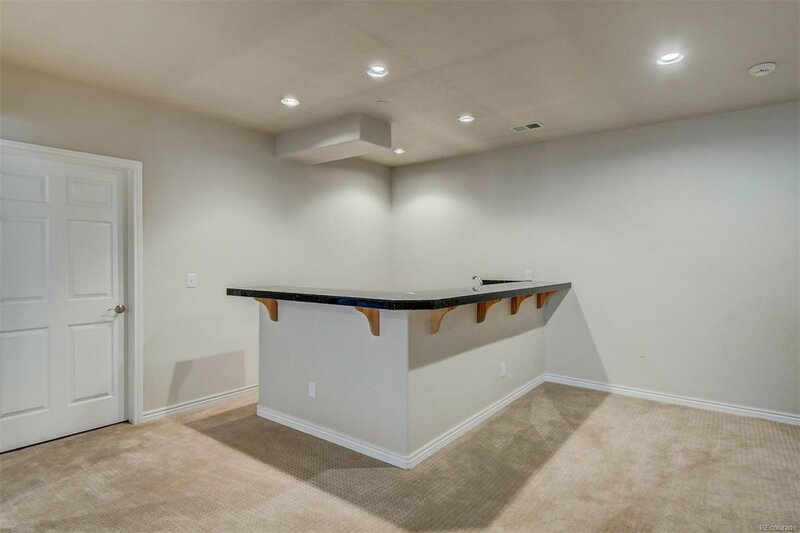 The open layout is an entertainer's dream with semi-circular bar and wine storage just off the formal dining area. The spacious living room opens into a large kitchen with separate eating area and outdoor access. The master suite is complete with 5-piece bathroom, double vanities and walk-in closets. On the other side of the main level sits another bedroom and full bathroom, along with laundry and access to the three-car garage. 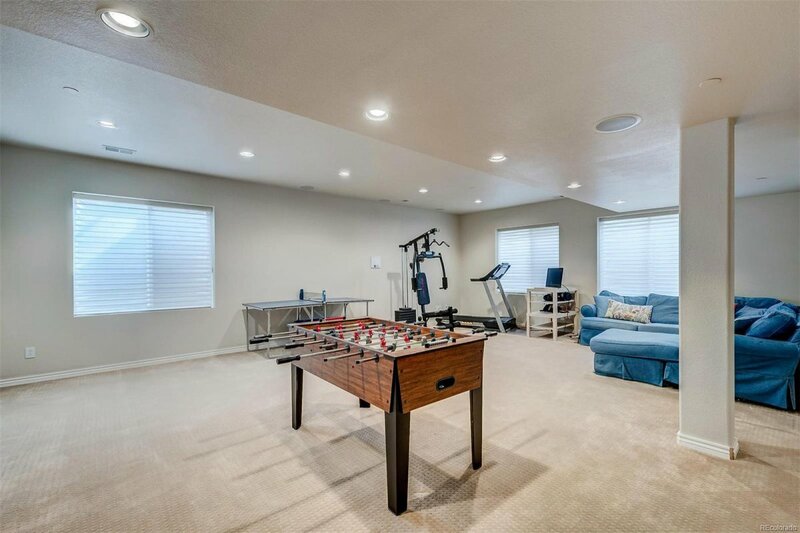 Downstairs a large rec area and second bar expand the entertaining options. Another bedroom and bathroom, a dark studio, and another 1000 sq. 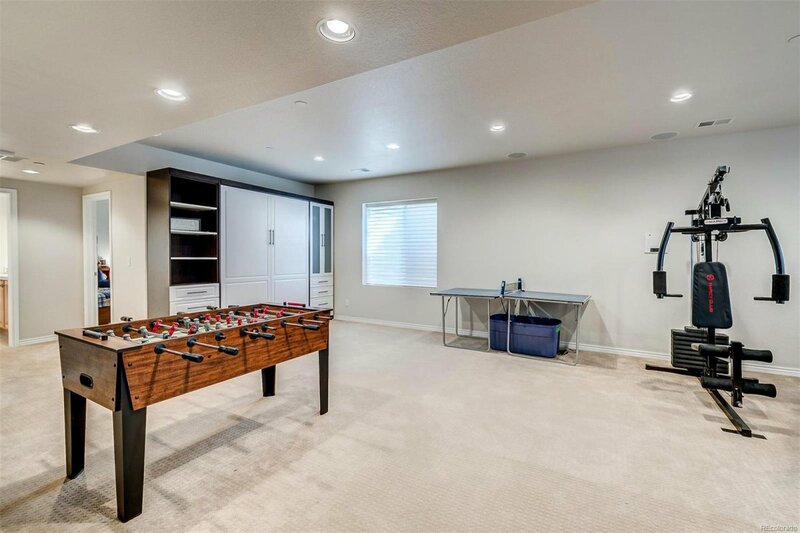 ft. of unfinished space round out this fabulous home. Residents of The Village enjoy 24 / 7 security, two Nicklaus Signature golf courses, stunning front range views and wildlife, luxury amenities, recreational facilities, and more.